Commvault has a new chief executive officer. The data management firm announced this week the appointment of Sanjay Mirchandani to president and CEO. Mirchandani succeeds Bob Hammer, who had led the company for more than 20 years. 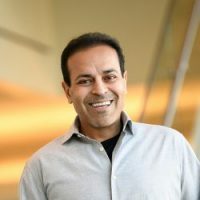 Commvault announced this week the appointment of Sanjay Mirchandani to president and CEO. In a statement Tuesday, Mirchandani, previously the CEO of Puppet, an Oregon-based IT automation company, praised Commvault’s technology and company culture. Commvault also announced the appointment of former Cisco Systems senior executive, Nick Adamo, to chairman of the board, replacing Hammer who will remain on the board as chairman emeritus. Commvault says both changes will become effective April 18. Adamo applauded Mirchandani’s expertise around cloud technology, and said the incoming CEO is the “ideal person” to build on Commvault’s current momentum. “Sanjay’s accomplishments at Puppet demonstrate a deep understanding of multi-cloud and cloud native applications,” he said. Commvault’s total revenues for the third quarter of fiscal 2019 were $184.3 million, an increase of 2 per cent year-over-year, and 9 per cent sequentially. Sequential software and products revenue grew 22 per cent, according to the company’s third quarter earnings report.